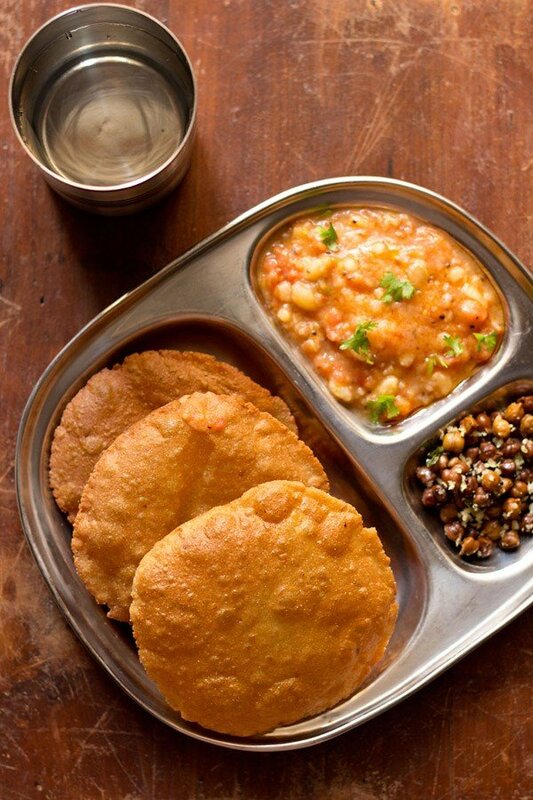 singhare ki poori recipe for ekadasi vrat - pooris made from water chestnut flour and potatoes. 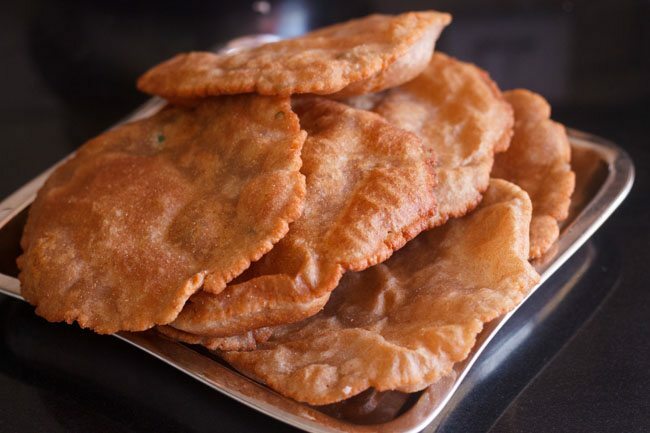 singhare ki poori recipe with step by step photos – singhare ke atte ki puri is made during religious fasting days like shivratri fast or ekadashi fast or navratri fasting. 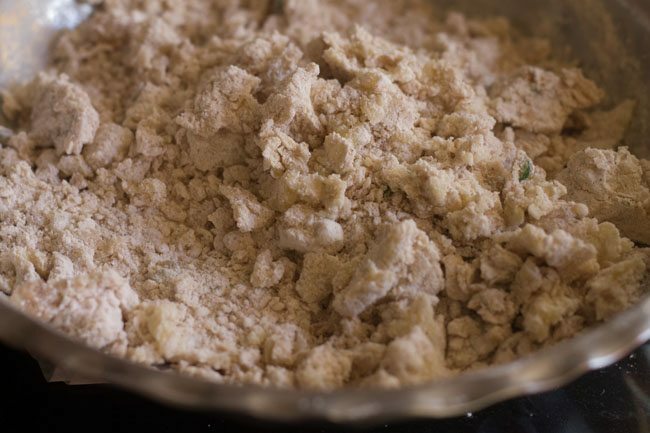 during fasting days in north india, only certain flours are used. e.g. 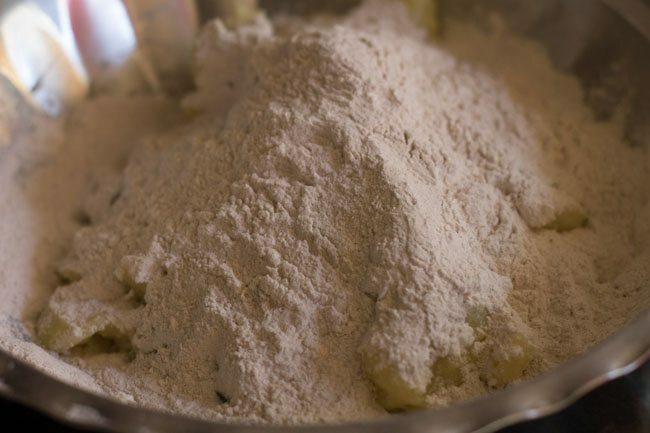 singhare ka atta (water chestnut flour), kuttu ka atta (buckwheat flour), rajgira ka atta (amaranth flour), sama ke chawal ka atta (barnyard millet flour) and arrowroot flour. i wonder why these healthy flours and millets are used during fasting days only. they can even be made during regular days. 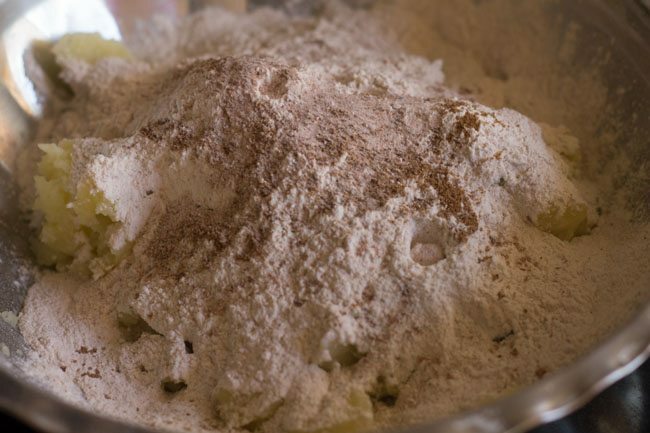 these flours make for an excellent gluten free option as well. 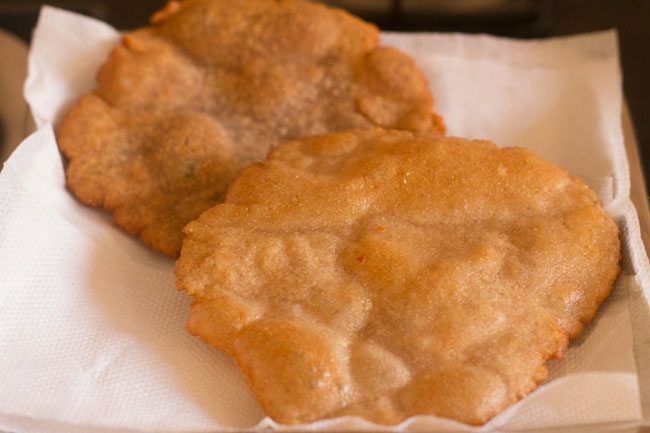 you will definitely get to taste a slight flavor of singhara or water chestnut in these pooris but that does not matter much, as these pooris taste as good as regular pooris made from whole wheat flour. singhare ki pooris can be made plain just with the water chestnut flour or in combination with mashed potatoes. 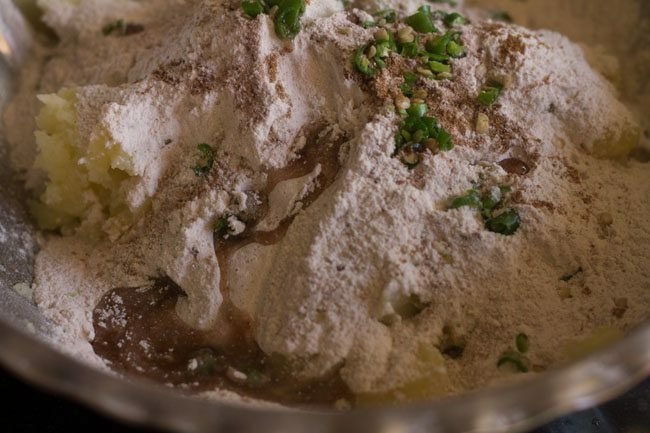 this recipe uses boiled mashed potatoes. since mashed potatoes are used, the pooris have to be fried in hot oil. 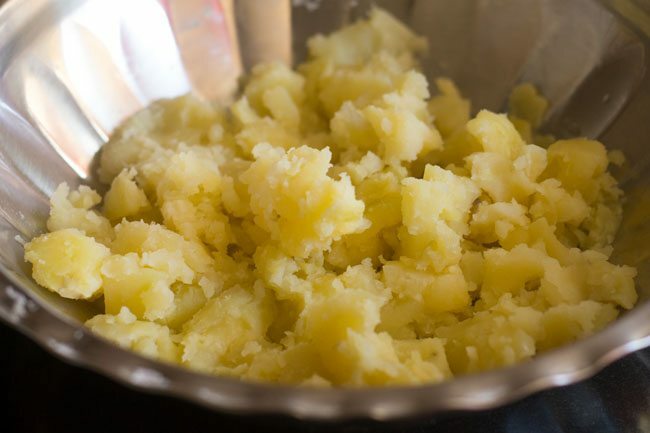 on a lower temperature the potatoes absorb a lot of oil and the pooris become clogged with oil. singhare ka atta is easily available in most super stores in india. i have seen it in reliance stores in india too. 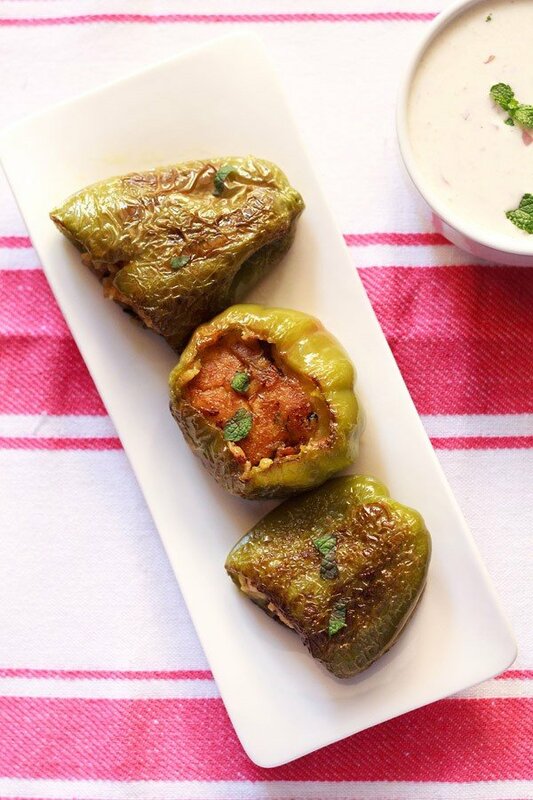 apart from this recipe, you can also consider making kuttu ka paratha, sabudana thalipeeth, rajgira paratha, kuttu ki poori and rajgira ki pooris for fasting days. 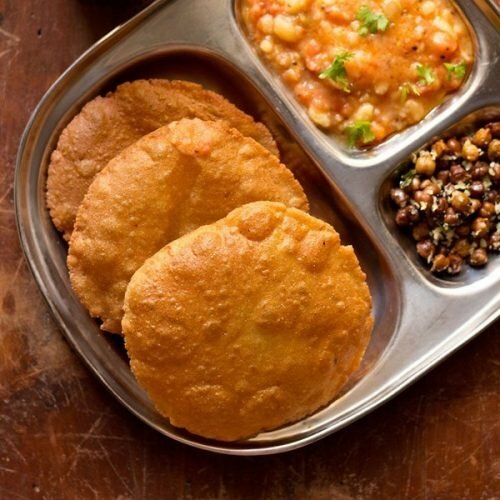 you can serve these singhare ki pooris with aloo tamatar sabzi or vrat ka kadhi or arbi masala or khatta meetha kaddu or jeera aloo or pumpkin sabzi. 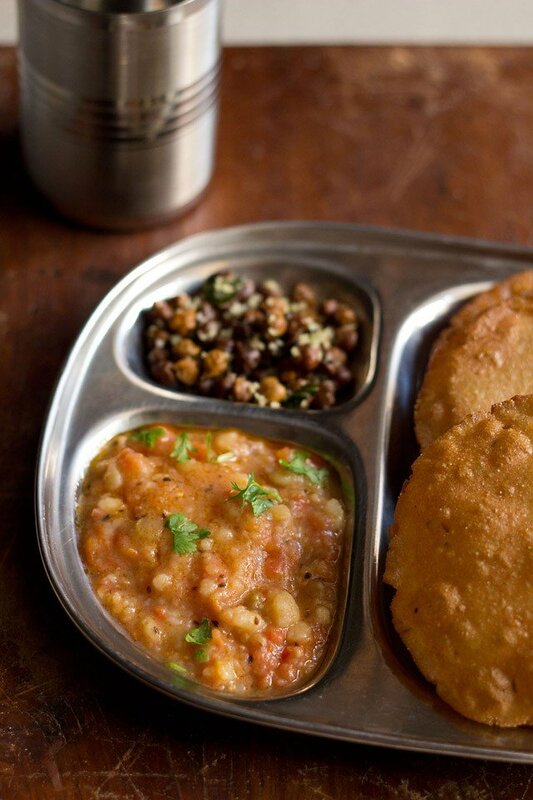 i served the singhare ki puri with vrat wale aloo. 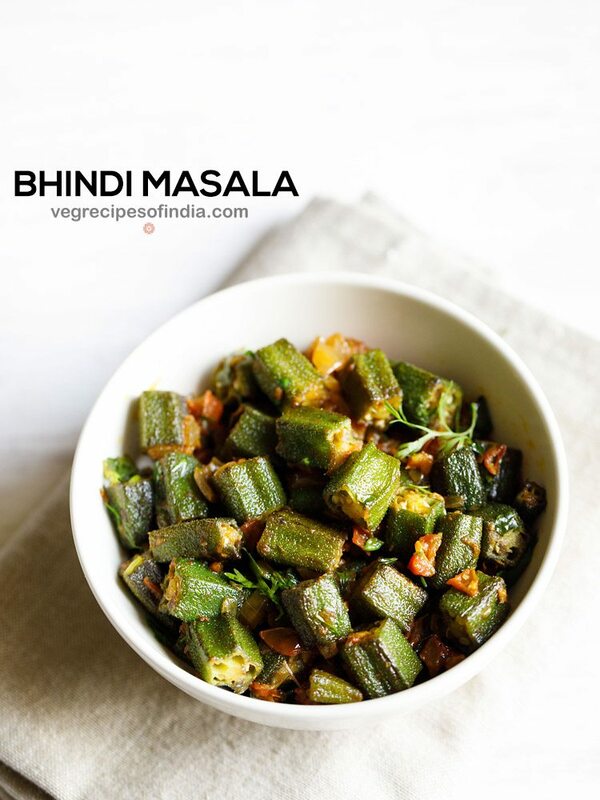 if you are looking for more ekadasi vrat recipes then do check sabudana khichdi, sabudana vada, vrat ke chawal ka pulao, rajgira kheer, makhana kheer and samvat rice khichdi recipe. steam or pressure cook the potatoes with rock salt. when warm, peel and mash the potatoes. add all the other ingredients including oil. add very little water and knead the dough. don't add water unless required. knead the dough and if it looks dry or lumpy in some parts, then add little water and knead again. the dough should be smooth and pliable. otherwise you won't be able to roll the pooris. take small or medium sized balls from the dough. sprinkle some water chestnut flour on the rolling board. roll the balls in to small or medium sized pooris. don't make thin or thick pooris. the thin ones will break when frying and the thick ones will get browned quickly from out leaving the insides uncooked. 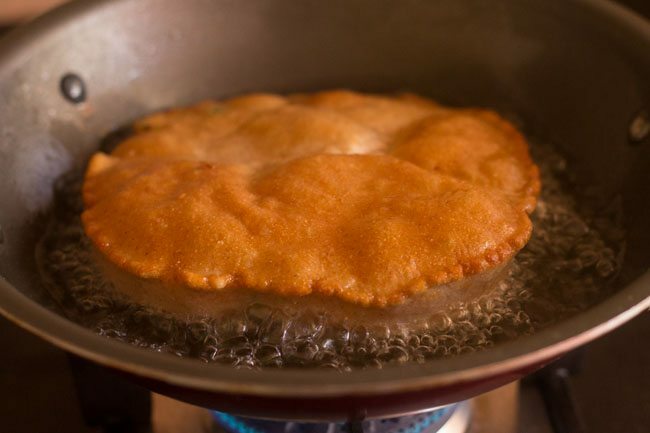 when one sides puffs up... (you can aid the poori to puff up by gently nudging it with the slotted spoon) gently turn over and fry the other side. 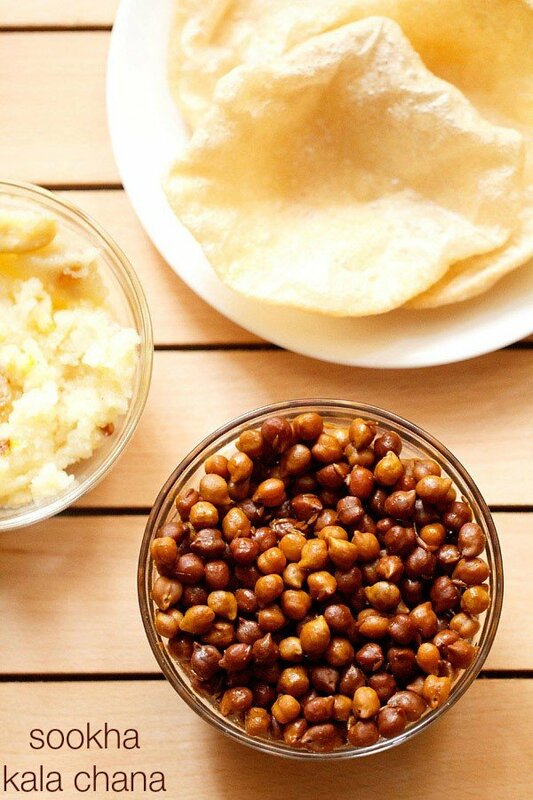 when singhare ki pooris are golden, remove from the slotted spoon and drain on paper towels to remove excess oil. 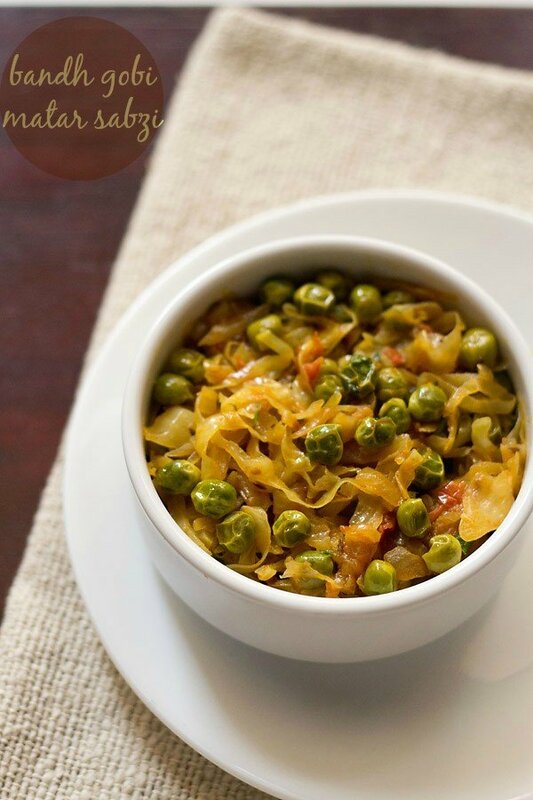 serve the singhare ki poori hot with vrat ke aloo. 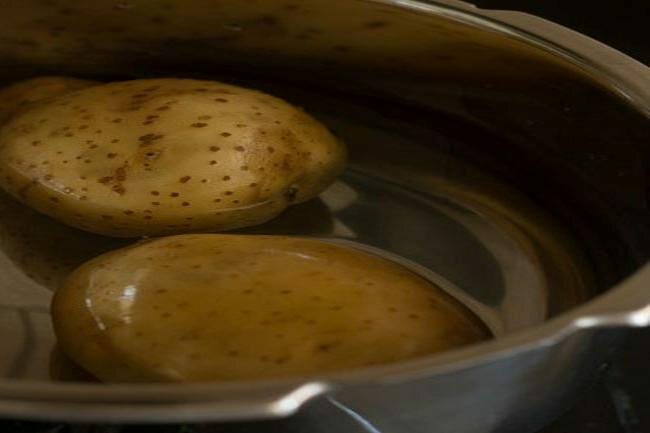 1. steam or pressure cook 2 medium sized potatoes with rock salt (sendha namak). 2. when warm, peel and mash the potatoes. 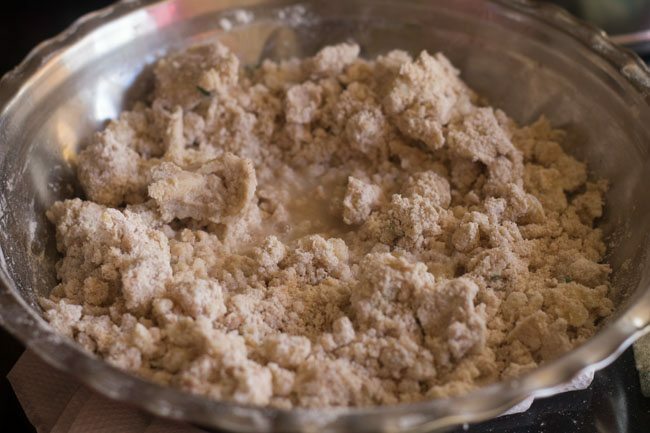 3. add 2.5 to 3 cups of singhare ka atta (water chestnut flour). 4. next add 1 teaspoon cumin powder (jeera powder) and rock salt (sendha namak) as required. 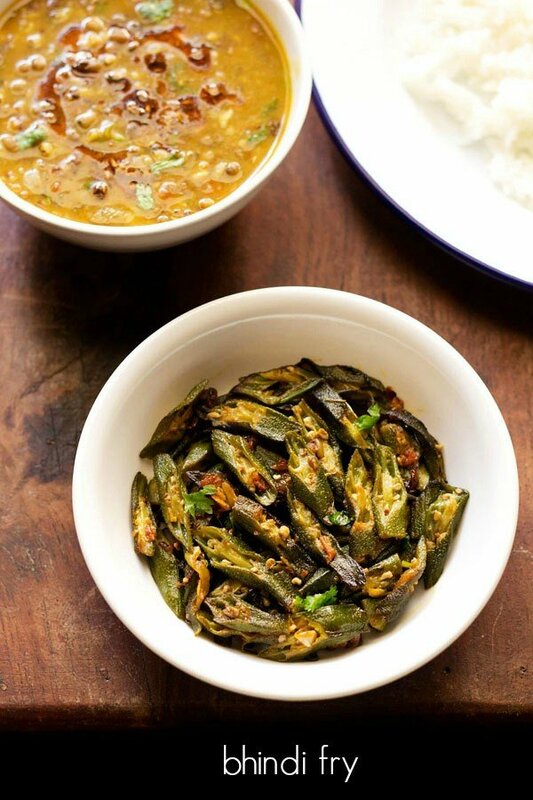 5. also add 1 to 2 chopped green chilies including 2 teaspoon oil. 7. add very little water. 8. begin to knead the dough. don’t add water unless required. 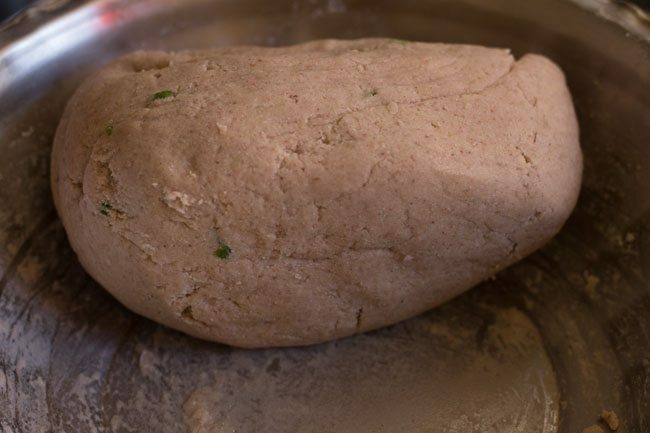 knead the dough and if it looks dry or lumpy in some parts, then add little water and knead again. 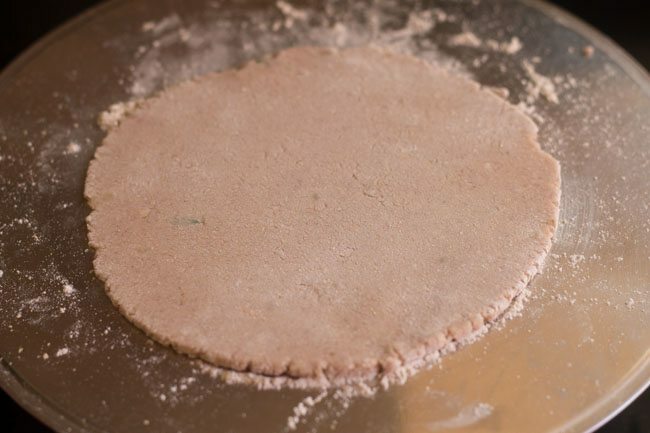 9. the dough should be smooth and pliable. 10. the dough should not be sticky. otherwise you won’t be able to roll the pooris. 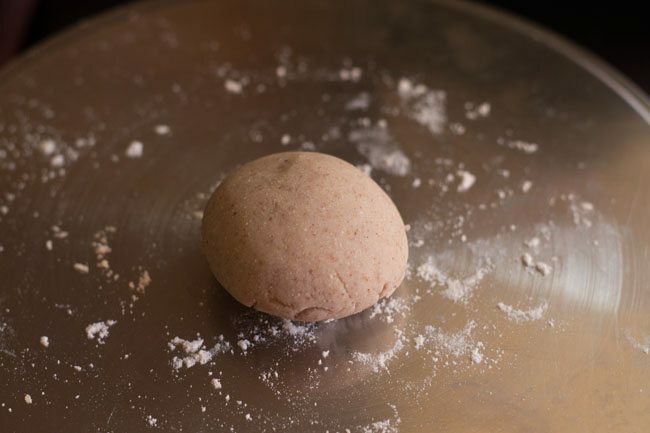 11. make small or medium sized balls from the dough. i got 9 medium sized balls from the dough. 12. sprinkle some water chestnut flour on the rolling board. 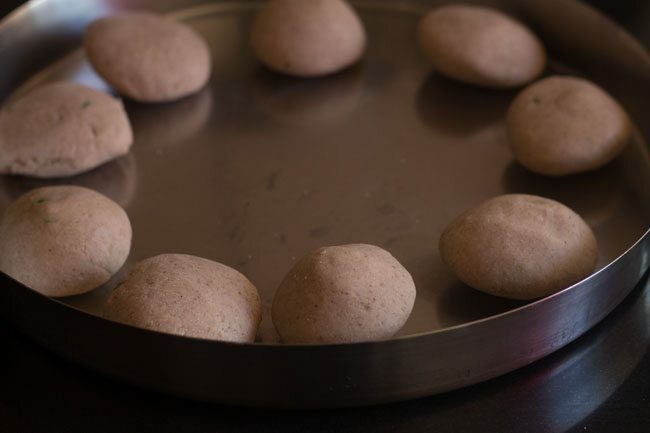 13. roll the balls in to small or medium sized pooris. 14. don’t make thin or thick pooris. 15. the thin ones will break when frying and the thick ones will get browned quickly from out leaving the insides uncooked. 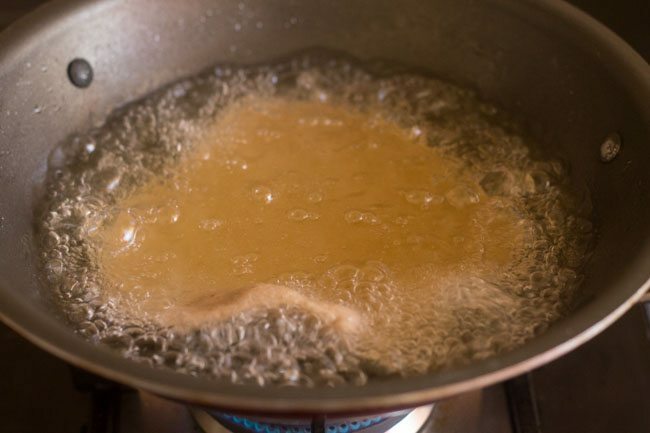 heat oil in a kadai for deep frying the pooris. when the oil is hot, place the poori gently in the oil. 16. when one side puffs up then turn over gently with the slotted spoon. 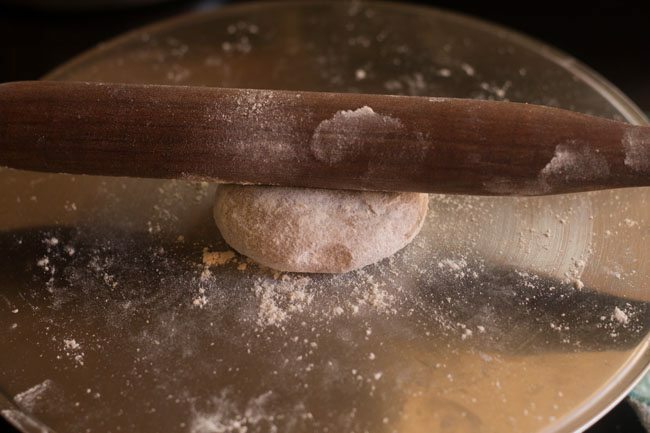 you can aid the poori to puff up by gently nudging it with the slotted spoon. 17. fry the other side. 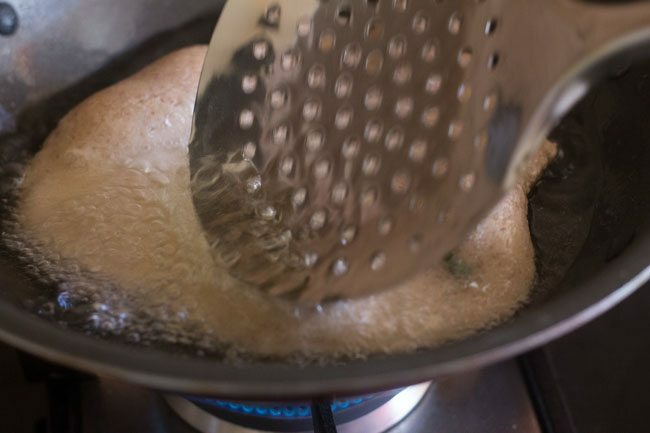 18. when the singhare ki pooris are golden, remove with the slotted spoon and drain on paper towels to remove excess oil. 19. similarly fry the rest of pooris. 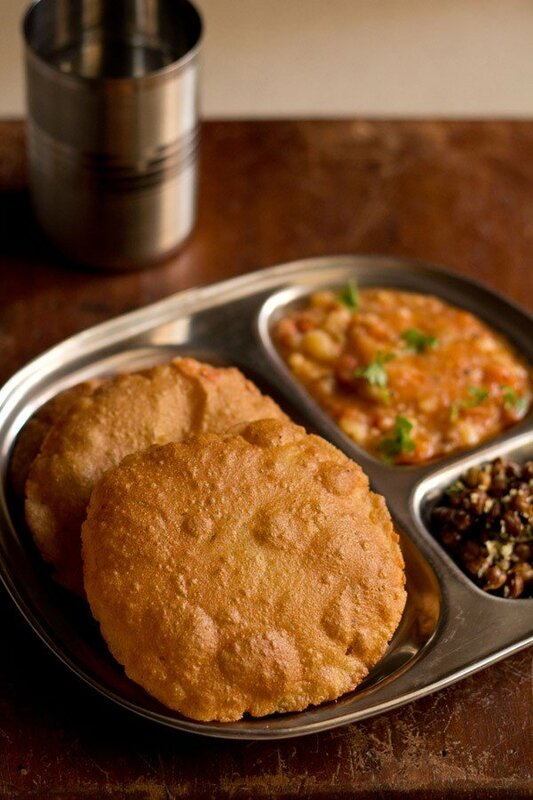 serve the singhare ki poori hot with vrat ke aloo or dahi arbi or dahi aloo. Can I use sweet potato instead of potatoes? Rajshree, yes you can use. slight sweetness will come in the pooris because of sweet potatoes. 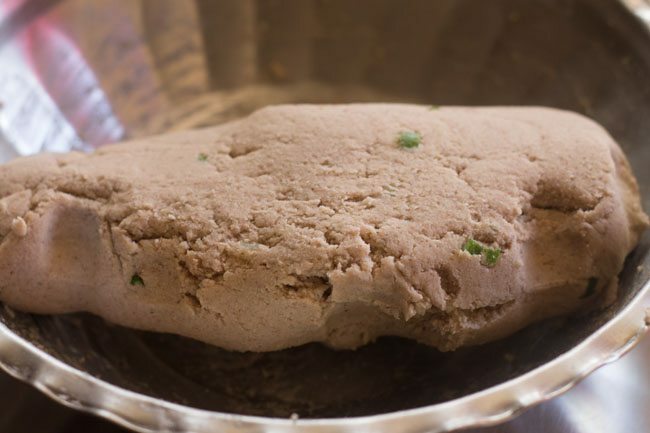 Is it possible to make parathas with this dough? yes you can make parathas. Thanks Roopsi for your positive feedback. Glad to know that you like the presentation of recipes. Can we make paratha instead of poori..?? If yes, then plz guide how…? and just replace rajgira with singhara flour. pleased to know you are a fearless cook now and you are welcome. hmm nice one dasaans very new to me looks so yum.